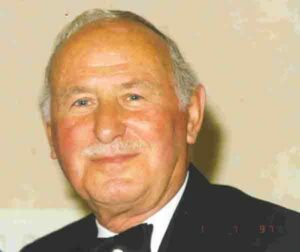 The Beis Zvi program is in memory of Mr. Zvi- Harold Weisfogel of Gibraltar. The following is an article about him written his daughter, Jessica Mazaltov Weisfogel. I am proud to call myself my father’s daughter and can only pray that I will live up to his ways. My father, Rav Zvi ben Dov Weisfogel A’H was a man of great wisdom and learning. During his lifetime, I rarely had to ask a she’ela about anything. It is only now that he is gone that I realise how much I relied on him in this respect. Hashem’s incredible ways that I was once approached by a young man (we shall call him Avraham) who had had a fairly rebellious youth and, as a result, had been ostracised by our small community. Avraham told me that he had a great deal of respect and caring for my father A’H because no matter what scrapes or trouble this young man had gotten himself into and no matter how people criticised and shunned him, my father would cross the road to shake his hand and ask him how he was and would always smile at him warmly and treat him with respect. One of the most crucial times of the week for my father A’H was erev Shabbat and he would start getting ready for Shabbat hours before Shabbat was actually in. (At lunchtime, he would start polishing his shoes). In fact, he would tell my sisters and myself off for doing anything on Friday afternoon that did not include getting ready for Shabbat. My sisters and I had a standing joke where we would have a hourly countdown to what we called “Panic Stations”. My father was niftar erev Shabbat Nachamu very close to the time for Shabbat. It was August and as a result Shabbat was being brought in earlier than demanded by the sun. Nonetheless, it was proposed that the funeral would take place just before Shabbat. The rabbi of the community moved Shabbat to the “proper” time (18 minutes before sunset) and the chevra kadisha rushed like maniacs to prepare him for burial. I recall seeing all the men and boys of our community coming to the house to accompany my father on his last journey (a great mitzvah) and I shall never forget seeing every single male from the youngest boy to the oldest man dressed in their very finest, bathed, neat and tidy and ready for Shabbat as from the funeral they had to go directly to shul for the Friday night service. There was no time for anything else. I took one look around and thought: “they are going to bury my beloved father to whom Shabbat was SO important whilst they are dressed and 100% ready for Shabbat!! !” I turned to my sister and said to her: “This is exactly what Daddy stood for. On his last day on this earth, he has managed to get an entire community ready for Shabbat ON TIME”. AND who was the person who took it upon himself at incredible short notice to dig my father’s grave? None other than Avraham!!! The young boy everyone at some time or another had shunned, except for my dear father A’H. When I thanked him for his kindness, he said he would not have had it any differently. Every Friday evening / night I remember this incredible event. It is said that it is a very good thing for someone to be buried as soon as possible after passing away (because the soul is in a state of unrest until burial) and that it is a wonderful sign for someone to be buried erev Shabbat as all souls in the next world rest too. It gave me immense comfort to know that my beloved father went straight into a state of rest on Shabbat Nachamu – the Shabbat of comfort from our sorrows!!! The last time my father had been able to go to shul was shavuot and he wanted desperately to go despite not being well enough, in order to hear the Ten Commandments. As he walked into the shul, the congregation rushed to give him the highest honour, an alyiah (calling up) for the portion in which the Ten Commandments themselves are read. My father was embarrassed by this honour and begged that this should be given to the Rabbi of the community, but in the end, the congregation prevailed and the whole congregation stood up in respect as my father made his way to the bimah. The next time in the year the Ten Commandments are normally read is Shabbat Nachamu. It gave some comfort too to know that Hashem had known how important it was for my father A’H to hear the Ten Commandments and had given him a front row seat this time right by His side.